Earlier today, a trailer leaked for the upcoming 3DS version of Hyrule Warriors, an action game that originally released on the Wii U. Within this trailer, there’s an easily-missed moment that teases something pretty damn cool. One of Linkle’s defining characteristics here is her usage of the crossbow. Nobody else uses this crossbow inside of Hyrule Warriors—here’s a list of every weapon available in the original game. No crossbow, as you can see. GameXplain got a tip pointing this detail out, and now fans are theorizing that perhaps this is a teaser for Linkle. Otherwise, why include something so random? There are no other errant floating weapons in the footage, and any weapon that is included can be traced to a specific character. Save for the crossbow. Weird, huh? 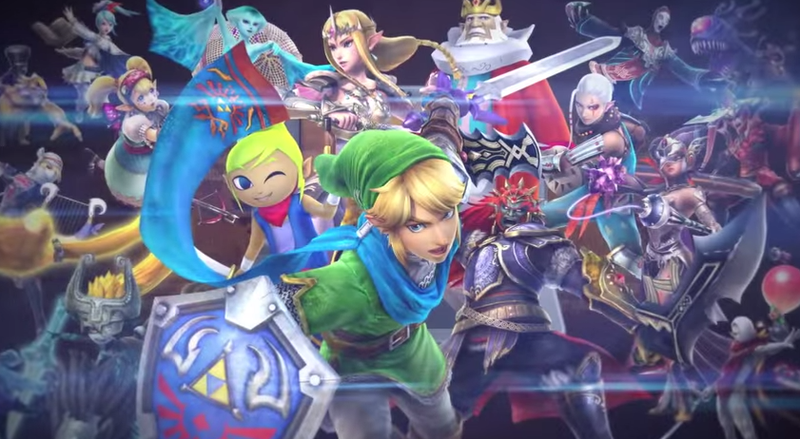 In a game where a good chunk of the cast is female, including a playable female Link doesn’t seem that outlandish. Plus, a female Link would give people plenty of reason to pick the new game up. Obviously, a tiny detail like a crossbow in a trailer is not definitive proof of anything—so take this supposed tease with a grain of salt. Personally, I’m crossing my fingers—Linkle would be a pretty damn cool inclusion in any Zelda game, and fans have been clamoring for a girl Link for ages.